Peter Jurtshuk, professor emeritus in the University of Houston’s Department of Biology and Biochemistry, passed away on July 9, 2017. He was 87. 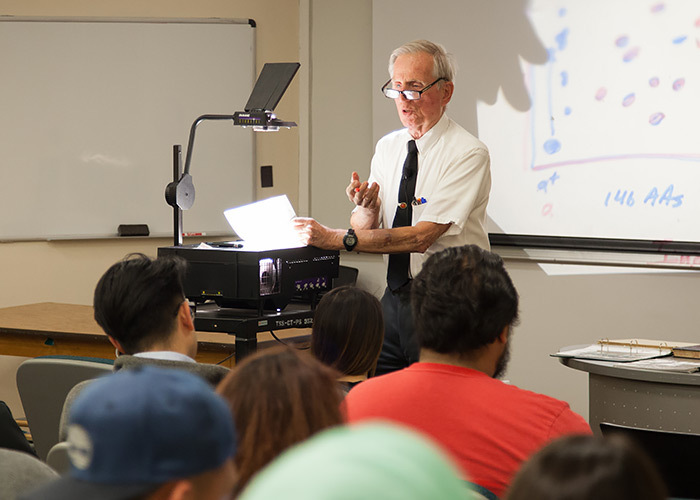 Jurtshuk was an active member of the UH faculty for 41 years, joining the University in 1970 as an associate professor. He retired as a full professor in 2011 and was named professor emeritus in 2012. Philip Snider, retired associate professor of biology, passed away on June 16, 2017, after a brief illness. 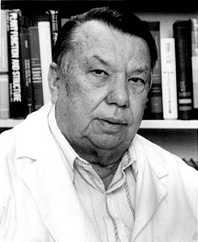 He was a vital faculty member of the University of Houston’s Department of Biology and Biochemistry for decades and introduced many cohorts of students to human genetics. Gerard (Jerry) Wellington, Professor of Biology and Biochemistry, passed away on March 11, 2014, after 14 years with Alzheimer's. Jerry received his Ph.D. from the University of California, Santa Barbara in 1981, and was on the faculty at the University of Houston for 24 years where he taught courses in Ecology, Marine Biology, and Invertebrate Zoology. He also served on the Editorial Board of the journal Coral Reefs, and was a trusted Advisor to the Charles Darwin Foundation for many years. Gregory M. Cahill, associate professor of biology and biochemistry at the University of Houston died Tuesday, December 23, 2008, at Bush Intercontinental Airport while waiting for a flight. He was 50. Greg is survived by a sister, Elizabeth Bjorlin of Prior Lake, Minn.; and four brothers, Paul Cahill of Janesville, Minn., Byron "Pat" Cahill of Kasson, Minn., Jared Cahill of Prior Lake and William Cahill of Eagan, Minn.
Werner Hoch, UH Assistant Professor of Biology & Biochemistry, passed away in Houston on July 9, 2005, surrounded by his family. Werner is survived by his parents, Kreszendia and Alois Hoch, and his brother Wolfgang Hoch, of Plochingen, Germany.